DENVER — RTD’s G-line, also known as the Gold Line, has hardly been a gold rush for businesses and homeowners along the line. 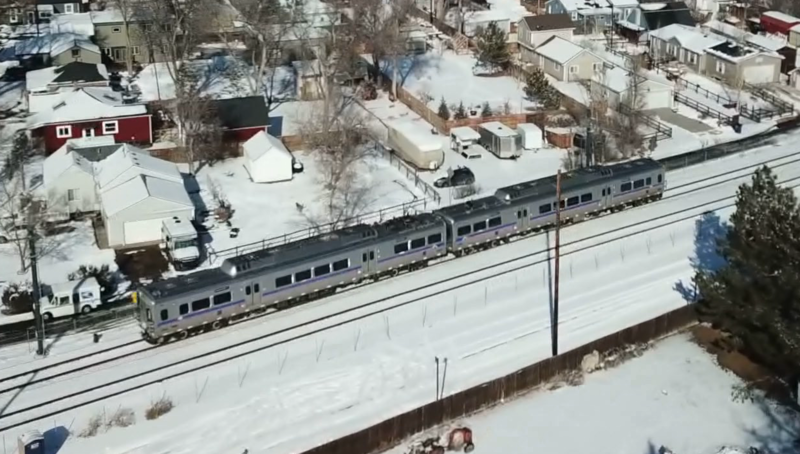 The train from Denver's Union Station up to Arvada isn't even running yet and is consistently shrouded in controversy and complaints. From dawn to dusk, the G-Line cruises through Arvada, yet there are no passengers on board. "What's the problem?" said Tierney. It's a question literally everyone in Arvada has asked themselves. "My issue is why isn't it running?" she said. "Customers have to stop talking when the horns blast,” said Debbie Hansen, owner of La Dolce Vita Coffee and Tea. “They are constantly interrupted." The horns are one thing, which Denver7 has been reporting on for months now. But most recently, concerns have been elevated even more among both homeowners and businesses on the impact this is having on property values. "And now I'm wondering, is it really going to be in my lifetime?" said Tierney. "[People] bought houses here just so they could take the light rail." On the business side of the issue, Hansen says rent prices skyrocketed when the G-Line first neared completion. "We were promised more traffic,” said Hansen. "'You're going to get a lot of people,’ they said. And we haven't seen that at all. In fact, a lot of businesses have closed." Despite growing anxiety among businesses and homeowners, Phil Shell, managing broker with RE/MAX Realty in Olde Town Arvada tells Denver7 that home prices aren't going down. He says the market may be flat-lining, but he doesn't see a bubble or a retraction in values. RTD says it's hoping to get another update from the Federal Railroad Administration next month. An RTD spokeswoman said Tuesday that she believes they are taking "positive steps" and there is a "path forward" in terms of getting approval to run with passengers. "How many excuses can they make?" said Tierney. "In 1969, they put a man on the moon. And yet, we can’t get a crossing arm to work properly? If it’s a computer glitch, you would think they could figure it out." "Trains have been around since the 1800s,” Hansen said. “They work well in New York and Germany. We should have used that old school technology, instead of trying to get back up to the new technology. Don't change it if it's not broken. That’s my final word, I guess."